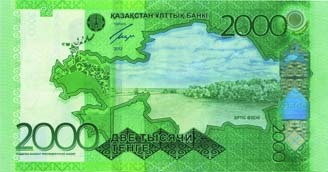 Kazakhstan currency is one of the important things to know when you are planning a trip to Kazakhstan. The first thing to know is that the Kazakhstan national currency is called Tenge. Tenge consists of 100 Tiin. The word tenge in the Kazakh derived from Turkic language meaning a set of scales. 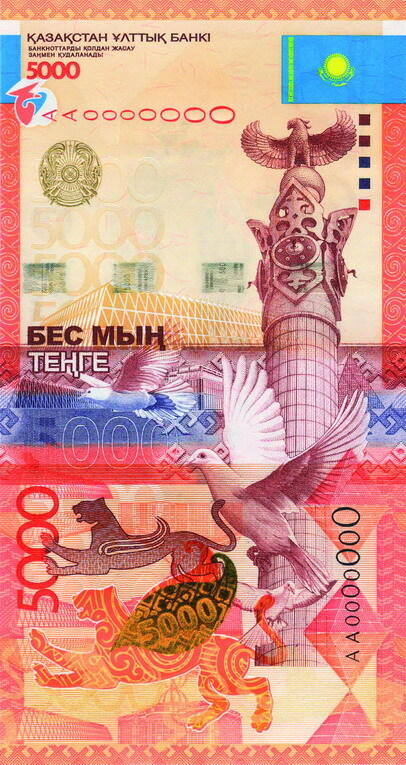 Den'gi, the russian word for money was also borrowed from Turkic. Doesn't that sound familiar, ha? Up to 1993 Kazakhstan used Rouble as its currency. Why? Well, that's another long story, going back to the Kazakhstan history. Here is the currency converter to let you check the current exchange rate. This widget is really easy to use. You can convert any currency to Kazakhstan money or vice-versa. If you want to see the value of your national currency in KZT, simply choose your local currency on the first box drop-down menu (so instead of American Dollar you'll see your currency choice). Then insert the amount into the box below. The third box will show you what that amount is in Kazakhstan money, i.e Kazakhstani Tenge. Now if you want to check the value of Kazakhstan tenge in your local currency, simply click on the second radio-button, which says TO. Then pick your currency from the drop down menu and insert the amount in Tenge in the second box. Now in the third box you can see what that amount is worth in KZT. To make sure do check just above the third box, as it changes when you click on the radio buttons. When you are on FROM button you see "Tenges (KZT)" and if you are on ""TO" button you see the currency you chose. 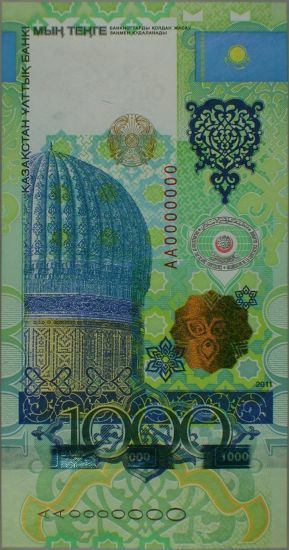 Click on these Kazakhstani banknotes to see them in a larger scale. Click on Kazakhstani tenge coins to see the larger image. 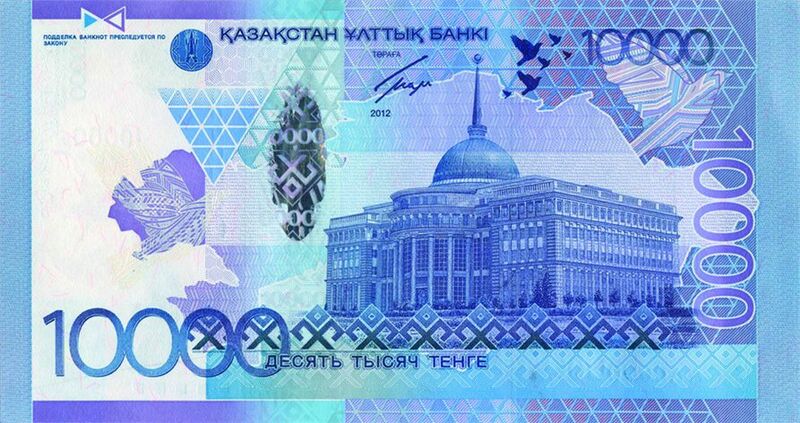 If you need more information on Kazakhstan Banknotes and Kazakhstan Coins, please visit this link of the National Bank of Kazakhstan. 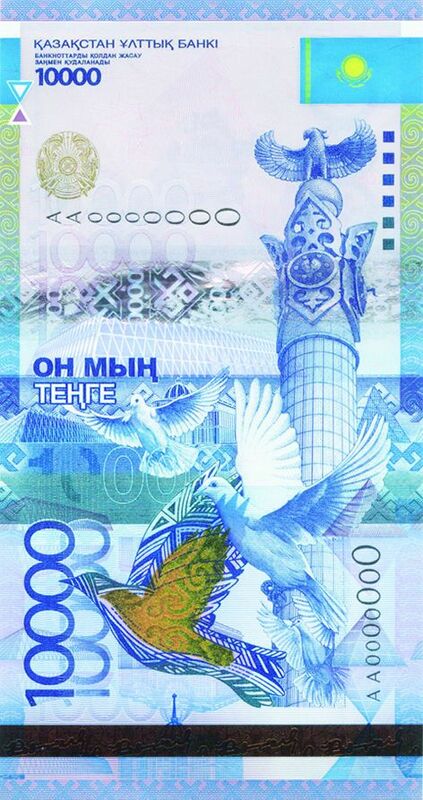 This is how the new 2000 tenge note looks like as of March 29, 2013. Its size is 139 mm x 74 mm. I prefer this design to former ones for the dark and light green colors. 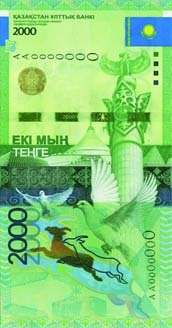 10000 Kazakhstani tenge banknote as of 2012. Its size is 149mmx79mm. Blue-violet. 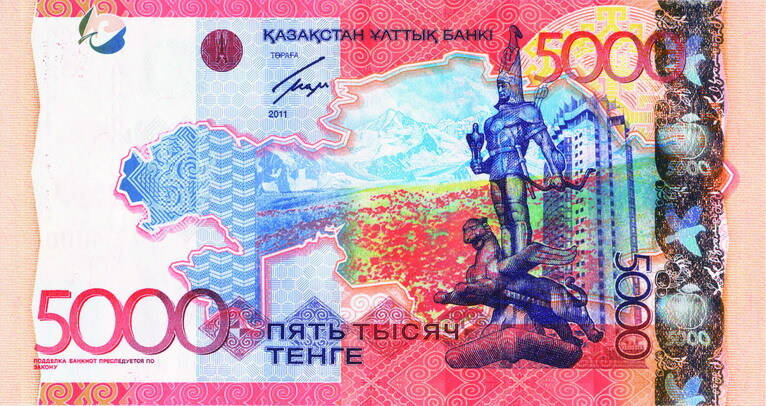 5000 Kazakhstan tenge banknote as of 30 November 2011. Size is 144mmx76mm. Red. 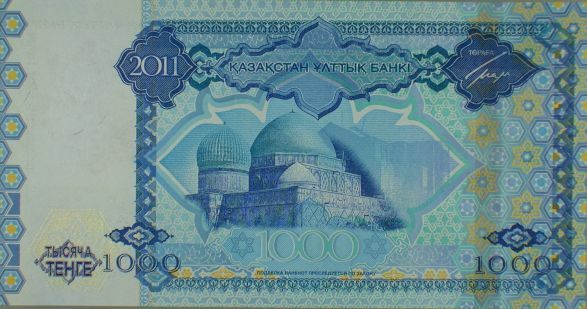 1000 Tenge Commemorative banknote in Kazakhstan issued on 25 May 2011 devoted to the Republic of Kazakhstan's chairmanship in the Organisation of the Islamic Conference. Size is 134mmx70mm. Light Green.